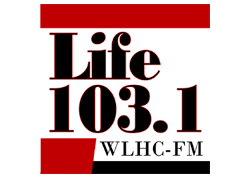 Life 103.1 (WLHC-FM) is a full-power Class A FM station with a strategically placed 6,000-watt signal. We are positioned to serve the Heart of North Carolina, including Moore, Lee, Chatham, Randolph, Montgomery, Richmond, Scotland, Hoke, Cumberland, Harnett, and Wake counties. 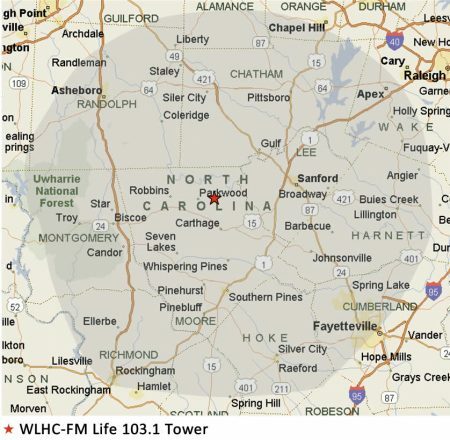 Our tower and transmission site is in Moore County near Carthage, and our studios are located in Sanford.